Group. A digital media, IP and technology lawyer with over 17 years’ experience, Julian is recognized as the go-to lawyer by UK and international games developers, publishers and creatives. 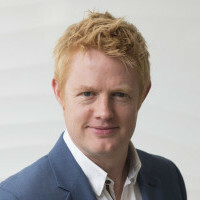 He advises on all aspects of the videogames sector, across platforms and genres, from development and publishing, global distribution, IP compliance, enforcements and brand strategies, through to VR, AR and eSports gaming, content licensing, data protection and privacy and the financing of game projects. Lee & Thompson is the UK’s leading law firm for the media, technology and creative industries and videogames clients are able to take advantage of the firm’s expertise and experience across the entire creative space particularly TV, film and music. And as the creative industries continue to converge and disrupt, Julian is able to offer commercial solutions and support across media projects, helping to bridge the gap between games, TV, film, music and other creative businesses. Before joining Lee & Thompson in May 2017, Julian spent over a decade as in-house counsel to leading media and technology companies, including Codemasters as Head of Legal and BBC Worldwide as Head of Business & Legal Affairs for Digital Retail and Games. Creating original IP is hard. We all know that. But how you exploit it, value it, monetise it, and perhaps most importantly, how you protect it, are critical if you want to give your IP the best chance of success. Come and hear from this expert panel - chaired by Will Freeman, who will share their advice and experiences of how to get the most out of your IP and keeping it safe along the way.